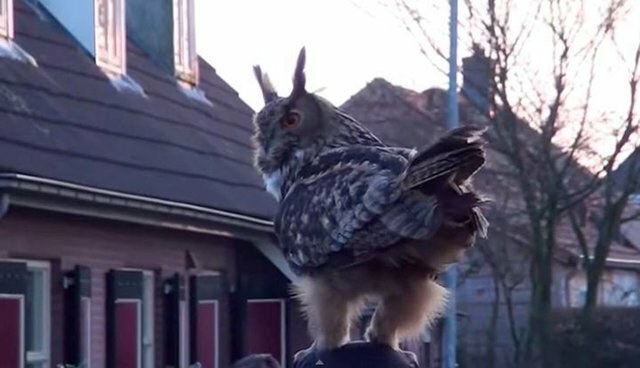 An extremely friendly owl in the Dutch town of Noordeinde has been surprising locals by swooping down to perch on their heads since March. 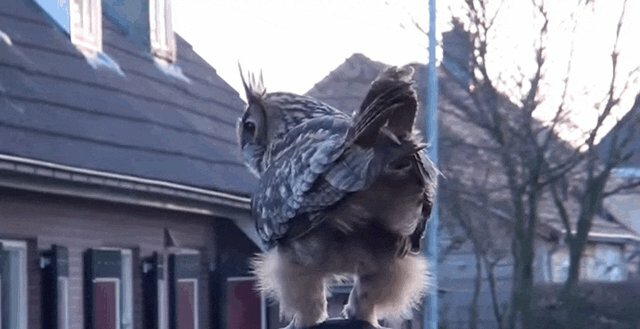 The strange behavior was caught on video last week (note how the owl politely offers his human resting spot a head massage before taking off). 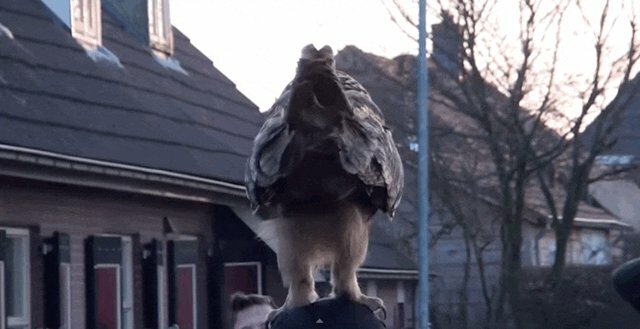 Here he is spotting a nice, comfy human head to land on. He looks around for a moment, surveying the street from atop his new friend. And then gives a nice little stompy massage with his claws before taking off. 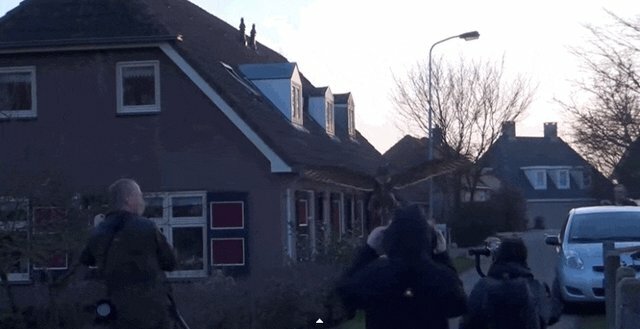 Life in this little town must be pretty exciting, considering you never know when an owl is going to surprise you with a cuddle.